The LG G5 is one of the most awaited smartphones of 2016, and it seems that we will get to see it in the spring. There aren’t too many known information about the LG’s new flagship smartphone, but there are some features that are probably going to be present in the LG G5 that will be launched in a few months. Now, a leaked photo also shows the back of the G5. The image reveals that the next generation LG flagship will have a curved body and that there is no leather cover, like the one featured by the LG G4, instead, this time around LG seems to have opted for metal to build its device from. 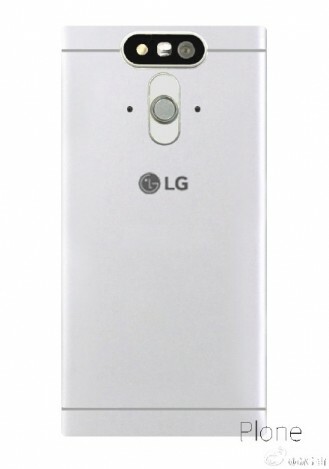 The leaked image also shows that the new LG smartphone will have protruding camera sensors on the back of the smartphone. Besides the images, some information was also leaked, and according to this, there will be a 16MP and an 8MP snapper on the back of the smartphone, with an additional 8MP camera on the front of the device for selfies and recording videos. Other leaked specifications of the LG G5 include a 5.3-inch 2560 x 1440 pixels resolution display with an astonishing 640 dpi density. If this information is accurate, the images delivered by the display of the 2016 LG flagship will definitely be as sharp as possible. The leaked specifications don’t include the make and model of the processor, although it was rumored before that the G5 will be powered by a Snapdragon 820 processor. Given the fact that there were also rumors that until April 2016 will have exclusive access to Qualcomm’s latest processor, the G5 might be powered by some other chipset. 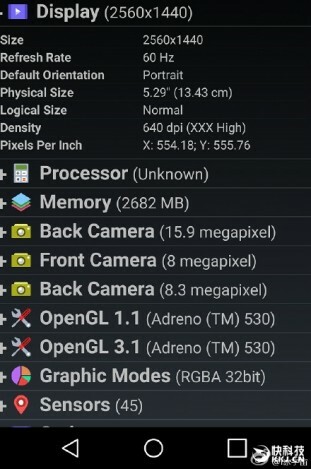 However, the specs sheet also hint an Adreno 530 GPU which normally comes in a pack with the Snapdragon 820, so we might be in for a surprise and actually see the latest Snapdragon processor coming with the LG G5. So far the latest leaked information seems to be the most credible, especially since it comes together with an image of the device. Still, the information didn’t come from an official source, so there are chances that it isn’t accurate and the G5 will actually be different from the device that was revealed in the images and specs.